NOTE: GOT A CALL FROM CHERYL RE THIS TODAY AND WE TALKED ABOUT HOW SHE CAN CONTACT THE AUTHOR TO CORRECT ANY FACTUAL INACCURACIES BY REQUESTING AN INTERVIEW. I ALSO OFFERED CHERYL THE OPPORTUNITY TO WRITE HER OWN REBUTTAL TO THIS STORY WHICH I WOULD THEN PUBLISH. For several consecutive years, fires have devastated the Californian coast, destroying lives, wildlife and homes. The fire service is under increasing pressure with fewer resources. One former firefighter has decided to do something about it, and is setting up his own fire crew. 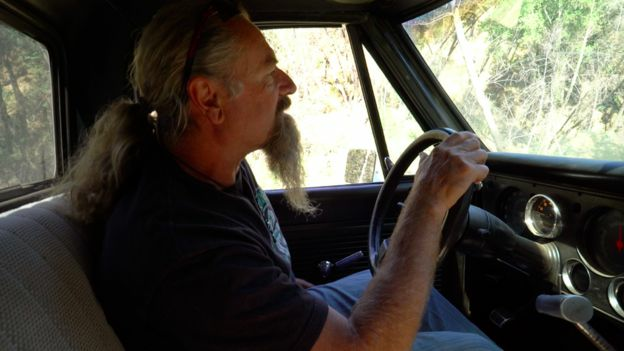 Eric Beninger, who lives in Palo Colorado Canyon in Big Sur, saw many of his neighbours’ homes destroyed by the 2016 Soberanes fire, one of the most expensive wildfires in US history. The 2017 wildfire season was one of the worst in the state’s history, with more than 9,000 fires burning 1.2 million acres (500,000 hectares). Last year, the Paradise fire alone killed 74 people. After witnessing the devastation of his own community, Mr Beninger decided to recruit his neighbours and train up an independent fire team to be on standby for future fires. 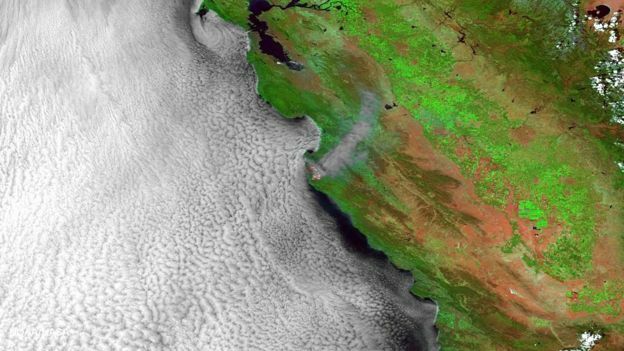 The Soberanes fire, which burnt for three months, destroyed 57 homes and cost around $260m (£200m) to suppress. Of the 27 homes along Mr Beninger’s road, only eight survived. The US Forest Service’s response was subsequently criticised for its handling of the fire. Even help from the region’s volunteer service – Big Sur Fire Brigade – wasn’t enough to stop the flames. “After the fire started, the neighbours mostly fled,” Mr Beninger recalled. “A few of us stayed behind to protect our homes, because we knew we weren’t going to get help. We risked our lives to be here, not knowing what the fire would do. 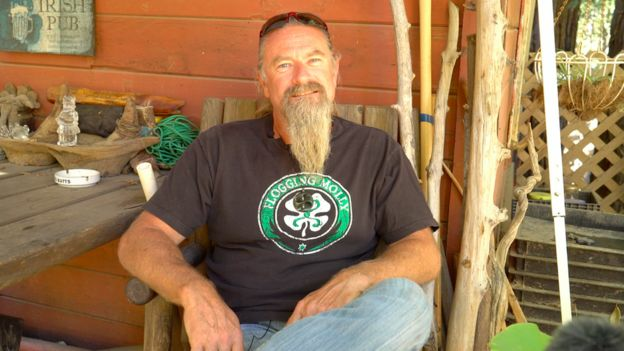 Mr Beninger is a carpenter, but used to be a firefighter with the US Forest Service in one of the hotshot crews – teams known as America’s “elite” firefighters due to the danger of their work. He and two friends helped save three homes from burning – by using water bottles from the Red Cross. That’s where the idea began, said Mr Beninger, who soon after heard about a small fire truck for sale in nearby Carmel Valley. The owner gave it to him for half the price, and now it’s up to him to restore it and build a team. 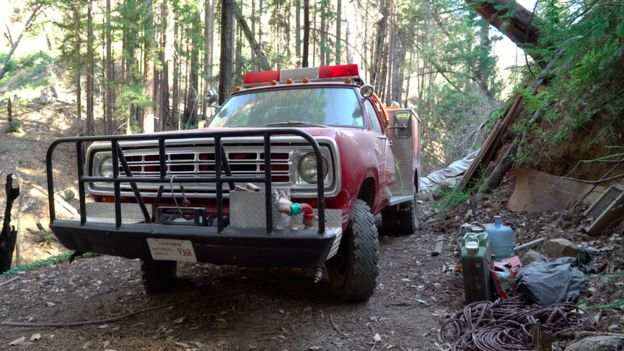 The fire truck is built around a 1973 Dodge Power Wagon, and has a four wheel drive, meaning it can access the canyon’s almost-impassable dirt roads. Image captionThe 1973 Dodge Power Wagon fire truck, nicknamed Scarlett. Mr Beninger is planning barbecues, calendars – “men and women” he noted – and “whatever it takes” to drum up the $10,000 needed to get started. Mr Beninger predicts the fire is “definitely” going to return. 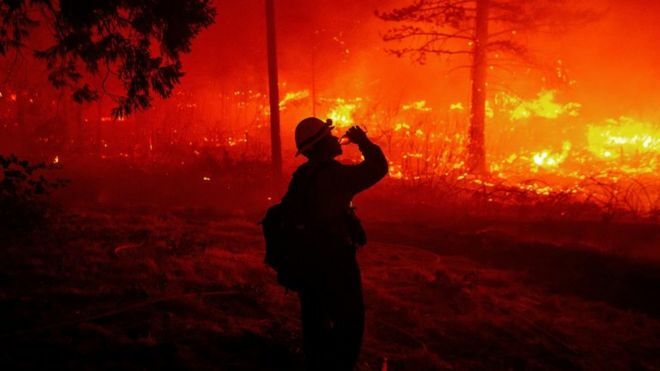 CalFire and the US Forest Service are tasked with fighting fires in the region, but thanks to government funding cuts and an increase in demand, resources are stretched. ~ by bigsurkate on April 10, 2019. Would you provide an address for snail mail to reach Mr.Beninger? I will try to get one. Where is Mid Coast in this? This is one of the least factual articles I’ve read in a long time. There is already a Mid-Coast Fire Brigade, initially a Volunteer Fire Department, with a fire station, fire trucks and firefighters located about halfway up Palo Colorado Canyon Rd. Several years before the Soberanes Fire, the Fire Chief set- up an Emergency Contact system by Zone, which involved recruiting Coordinators to gather data & contact info about each parcel owner; since privacy & anonymity are features of the area. Without the planning, prevention efforts and active communication at the time the Soberanes blew up, I believe many lives could have been lost that first night. The Mid- Coast Fire Chief was recognized for her efforts during the fire with a “Jefferson Award” and was a National finalist, as I recall. It’s just a dis- service to everyone to suggest that Palo Colorado Canyon was forgotten about; I know because I was one of the Emergency Coordinators, in active communication with the Canyon Coordinator when the Mid Coast Chief came to her door to tell her to “ evacuate now!”, and with the Sheriffs Dept. instructing us to communicate an Evacuation Order. No one in Palo Colorado Canyon was “forgotten about.” The writer of this article doesn’t demonstrate much knowledge of the facts. Kate, are custom made fire retardant house hugging tarps and slabs too much of a burden for residents in the community to consider as a serious last chance effort to block a wildfire’s path w/ floating embers from consuming one’s neighborhood/community? There has too be some feel good stories of triumph over these barriers Mother Nature challenges us to overcome. mid Coast does not feel this is accurate. Cheryl will contact the author re doing an interview and she will write something for me to post in the next few days. I’ve lost all respect for BBC news reporting after reading this article. Was its fact-checking department out to lunch when this one-sided, inaccurate, uncorroborated article made its way to publication?